Home > Blog > Ivy’s Daddy! The dog in this photo is none other than my dog Ivy’s dad! (He is also my dog Holly’s brother!) The lady in the photo is Alyson Elwood who has been a tremendous help to me over the last 6 years – she owned both of my girls dad’s – Monte and Kristo (both wonderful, good natured, big, beautiful Champion dogs) Alyson has helped me with a number of things over the last few years (Holly not eating well, thank goodness for Arden Grange!) and she is just wonderful – I can’t thank her enough. 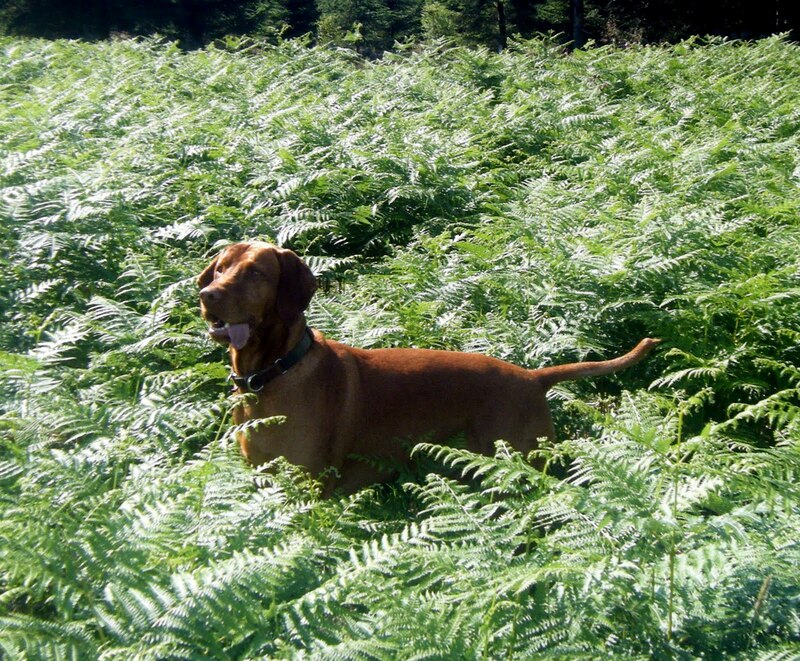 If you are EVER thinking about welcoming a Vizsla into your home – THIS is the person to talk to! Monte is no longer with us 🙁 , but we had a lovely walk up at Mugdock with Kristo (in the photo) and Dante – who is Ivy’s brother! 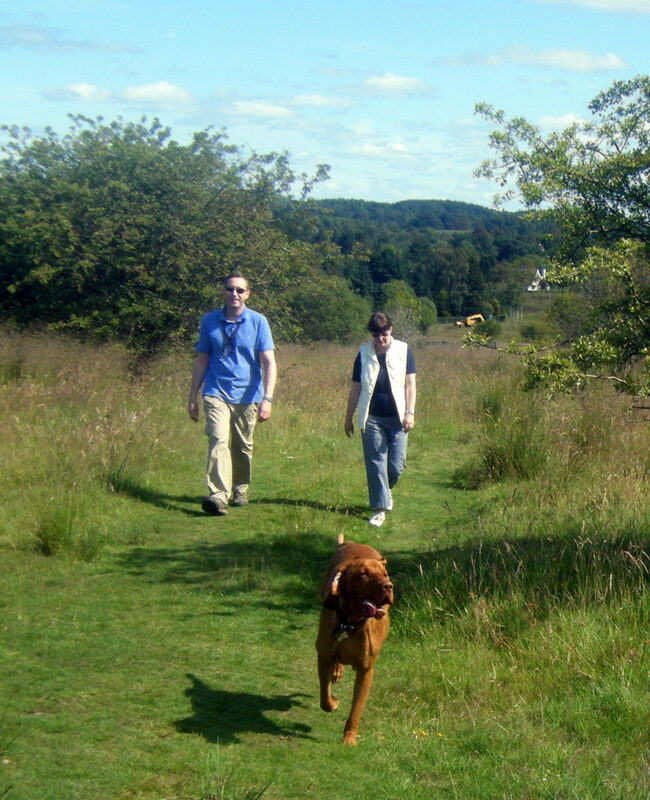 The gentleman in the photo is about to get an Autumn Glory Vizsla from a litter that Kristo has sired (lucky him – I’m only a little jealous) – I do hope that we can all have a lovely family walk again – it was really special. Will it not be fantastic to have a family reunion again soon?! I can’t wait! !